We use this book in all our level A classes: A1, A2, A2+. The exercise book goes with the text book and are a great tools for learning Swedish. It also gives you access to additional content on the internet such as audio tracks and extra exercises to study on your own. 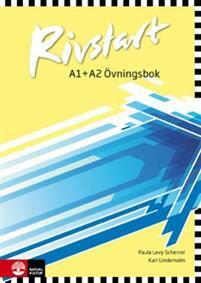 Furthermore there is an app Rivstart A1 / A2 available in the various app stores, by Natur & Kultur (paid). The UISS is Sweden's oldest and largest summer language program. With over 50 years of experience, we offer a well-developed curriculum. Nowhere in Sweden will you find such an intensive summer program with such a rich choice of courses. The UISS organizes excursions that allow our students to visit sites around Sweden and to experience Swedish culture, history, and society first hand. People come to Uppsala from all over the world and though the majority are students, we also have quite a number of professionals, such as teachers, interpreters, translators and business people.